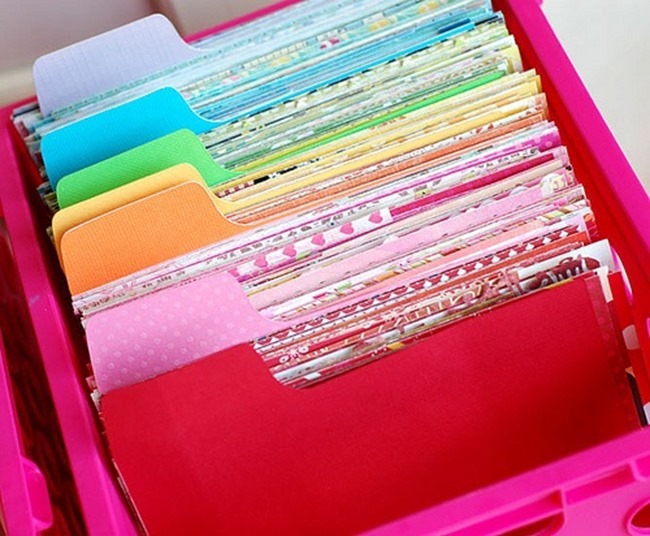 It’s time to organize your scrapbook supplies with these creative DIY ideas! 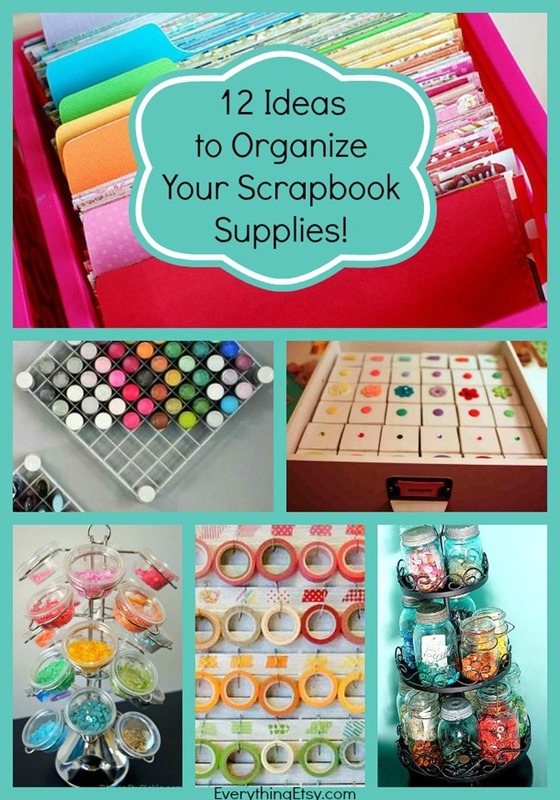 I know from experience that scrapbook supplies are among the hardest things in the world to keep under control. I don’t want to stash things away where I’ll never see them, so I try to organize in a way that keeps my pretty supplies in sight and right at my fingertips when creativity strikes. Tame your pretty paper scraps with this fun idea! Use simple supplies to create basket of pretty paper scraps all sorted by color or style….you know you love it! 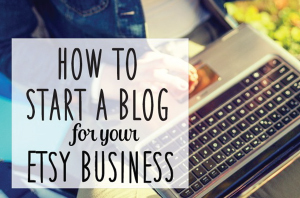 You can find all the details right here. I big puffy heart jars of all shapes and sizes! I have some just like these full of ribbons and buttons. 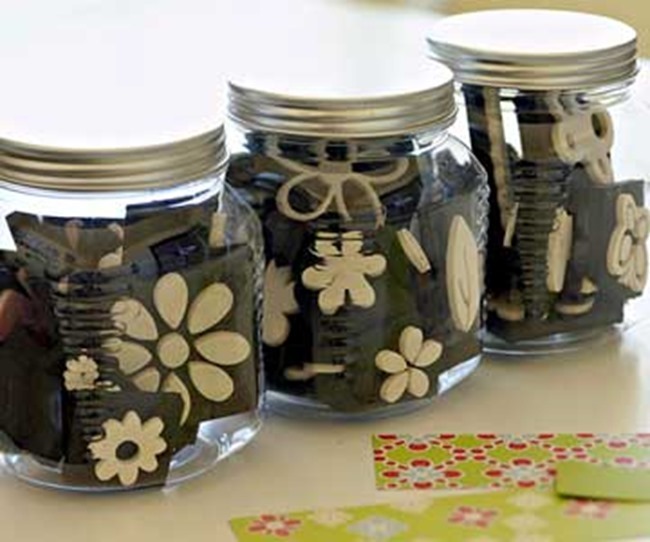 These glass containers are large enough to hold tons of scrapbooking stamps. 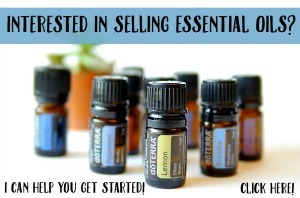 Place them in the jar facing out so you can always find just the right stamp when you need it. Cute idea! 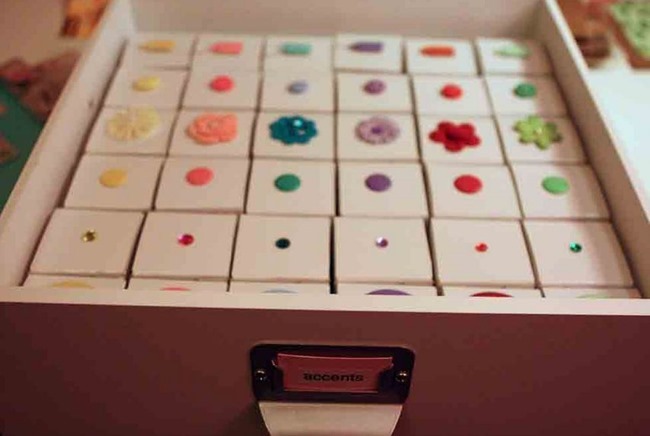 Use itty bitty boxes to organize your small scrapbook supplies. 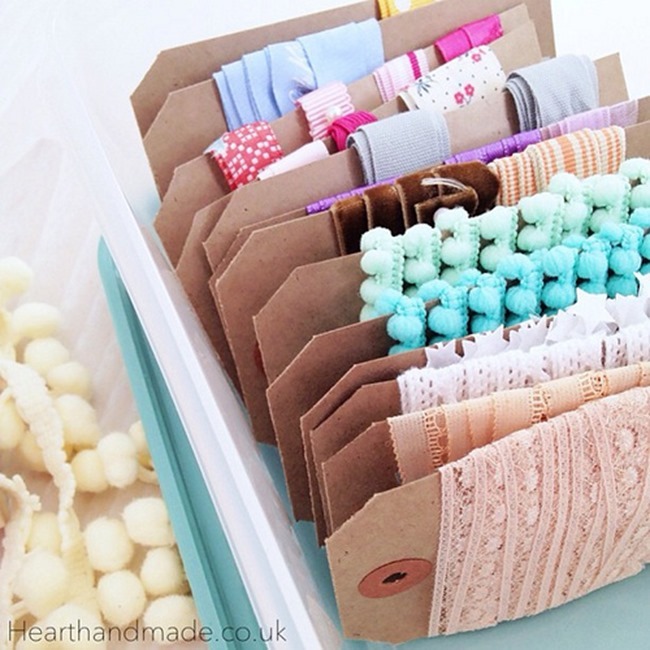 Line them up in a drawer for instant organization…love it! Tags like these are so helpful when it comes to taming a bunch of ribbon and lace. You can never have too many! This sequin holder from The Crafty Pickle is one of the neatest ideas ever! 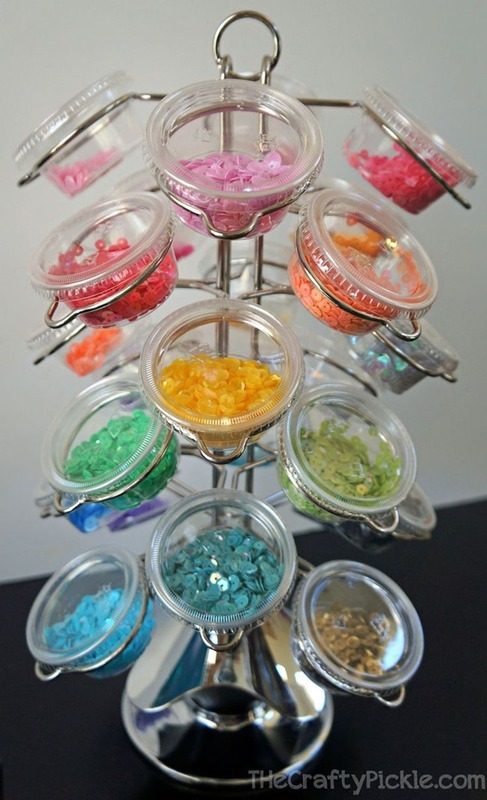 It’s an inexpensive way to organize colorful sequins and decorate your crafty area at the same time. Do you have a bunch of paper punches needing storage like this?? Well, I bet even if you don’t have this many punches you might find a creative idea or two from this photo. I wish I could play with all of these, don’t you?! 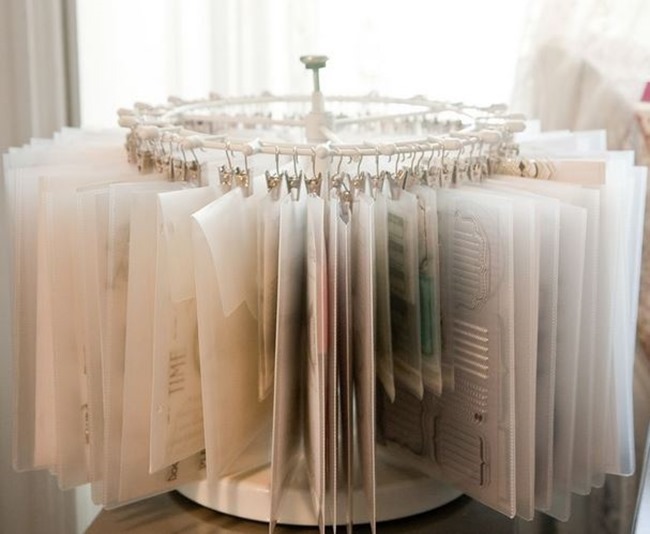 Looking for a way to store all your clear stamps? You’ll love how Alice organized all of hers…grab a shoe rack and get started! Organize Washi Tape with this Washi Tape Storage Shutter. Use Mason Jars to create a beautiful display. This is a creative way to use an old spice rack. 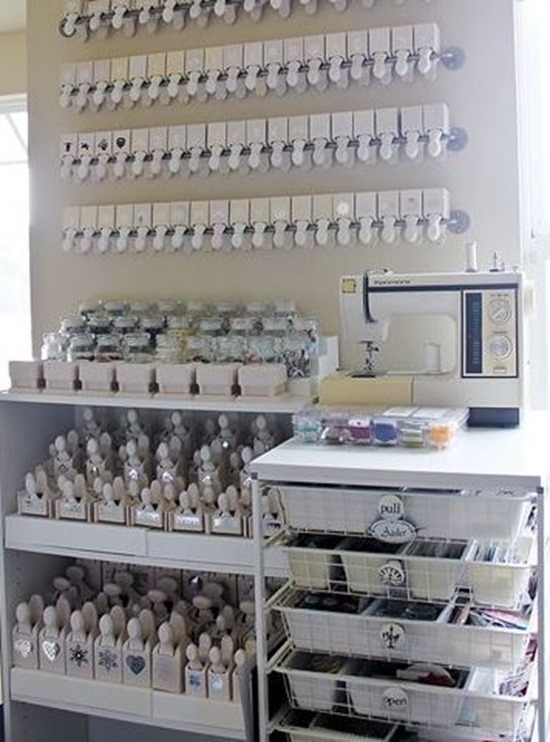 Check out this DIY wire paint organizer. Grab a cup of coffee or tea and enjoy these creative ideas! 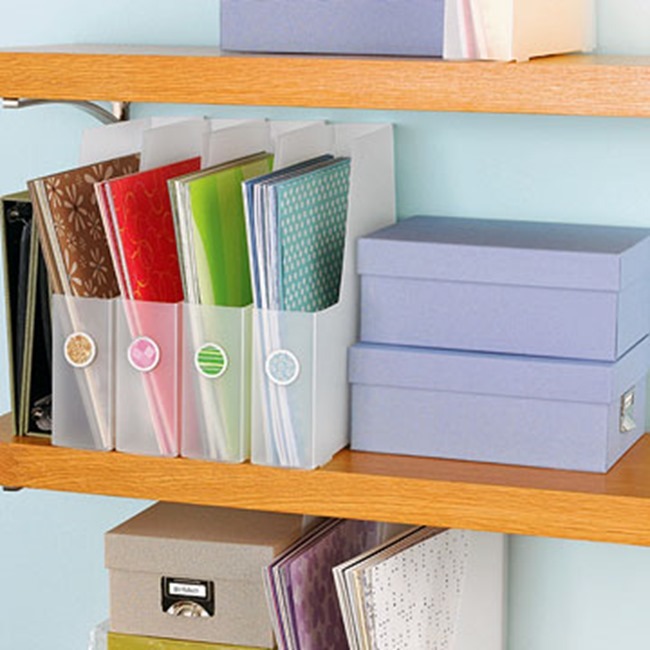 Have you been organizing lately? I’ve been working on my closets which were out of control…lol! Holy scrappin’ storage, batman. Love all of these ideas. Wow. I would love to get my hands on all of those punches and wash tape. Washi tape is my new fave thing. 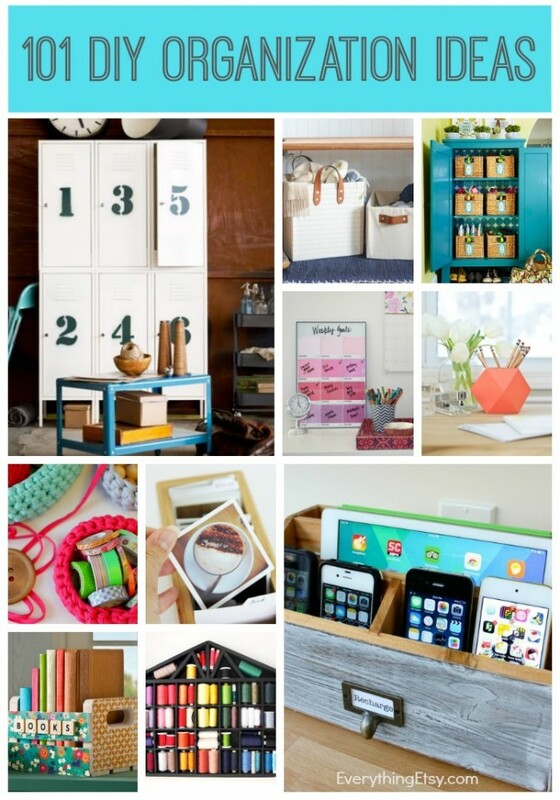 So organized – Love it! Great Ideas – thanks for sharing. I need to get in gear with this New Year! Target has had the best clear jars this year in the $1 section. I bought a bunch! Target has had great glass jars in the $1 section that work great! I have all my embossing folders (probably over 50) in file folders that I have cut down from regular file folders and then embossed a colored paper to put on the tab so you know what embossing folder is in the file folder. I keep them in a small, clear box with an attached lid that I got from Micheals. I can take the whole box anywhere! Hope this will work for someone else! Great idea, thanks!! Now I have a fun little organizing project for this weekend! I wonder if I could just emboss the folder itself? I’ll have to play around with it. Ooh! Do you color code the tabs for different sizes? I think I may do that, too. Wow! You have inspired me to organize my paper stash! Thanks!